As part of the exhibition Oceania: Early Encounters, Te Papa will highlight the traditional practice of weaving throughout Oceania. This week Te Papal feature the many talents of weavers from ‘the Rock’ – better known as the island of Niue. 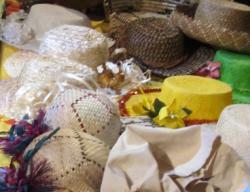 This entry was posted in Local events, Wellington and tagged Niue, Weaving. Bookmark the permalink.